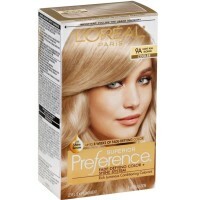 Directions Preference Shade Guide: 9A is a light, alluring blonde shade with ash tones, which will minimize red/orange tones. 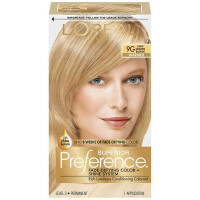 For optimal color results, use on light blonde to dark blonde hair. Preference Shade Tips: If you hesitate between two Preference shades, choose the lightest one. 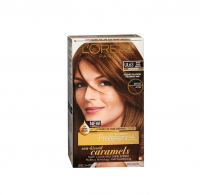 On more than 50% gray, your results will be slightly lighter-looking than the results shown on package. On red hair, your color results will be blonde with soft reddish tones.